The team at Robert Oulsnam Kings Heath sales branch is celebrating a recent award win! 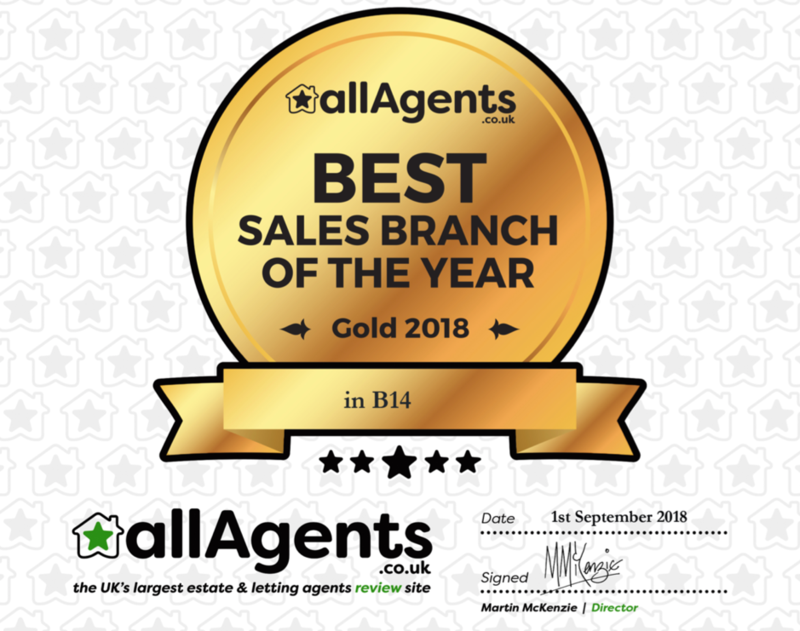 They were given gold for "Best Sales Branch" in the “Best Estate Agent” category for the B14 postcode area. There are over 18 estate agents in the area so it’s a real achievement to have poll position. allAgents.co.uk is an independent review site for estate agents, letting agents and essentially anyone involved in the UK property chain! The annual awards are not chosen by trade bodies, peers or journalists, they are solely based on customer reviews and feedback. This is based on agent scores over a 12-month period. Therefore, you can be sure that to win gold, our Kings Heath team will have had to maintain consistently awesome customer service! As a company, we proactively encourage our teams to seek feedback from our clients. Whether these are improvement points or positive comments, it is hugely important to learn from both in order to make our customer service even better. If you have any feedback for our super team at Kings Heath, or any other Robert Oulsnam branch, please do click the link to submit one!